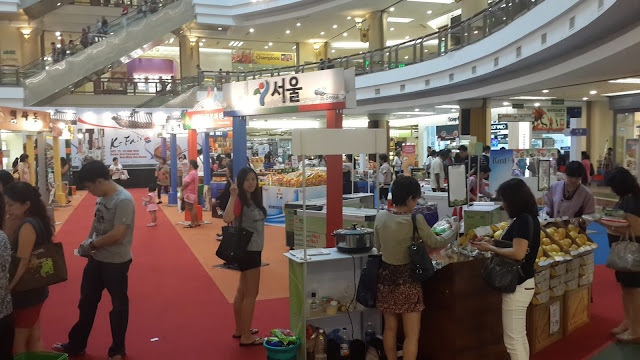 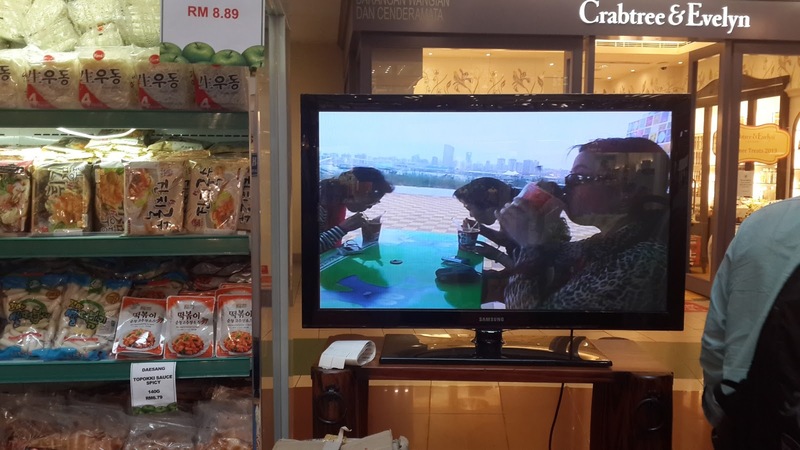 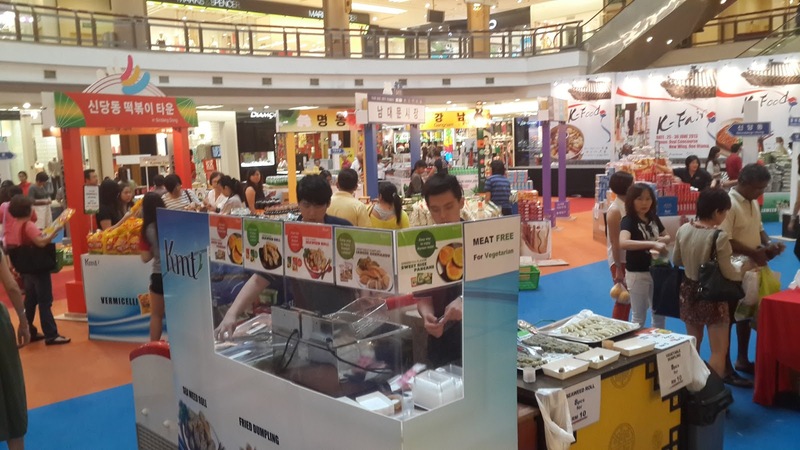 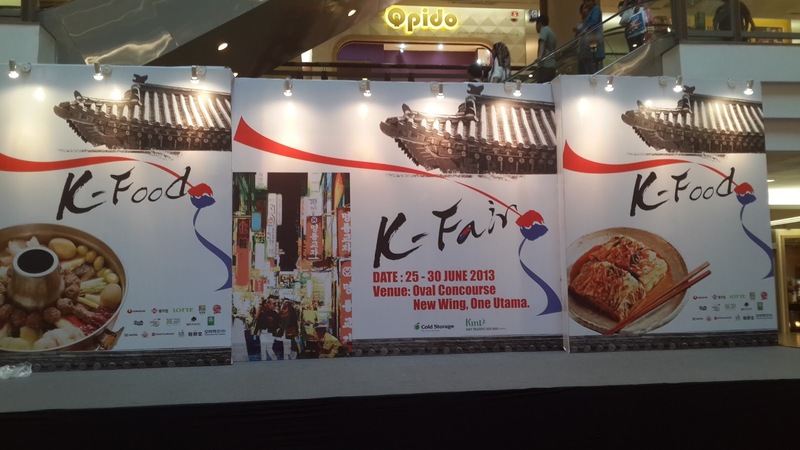 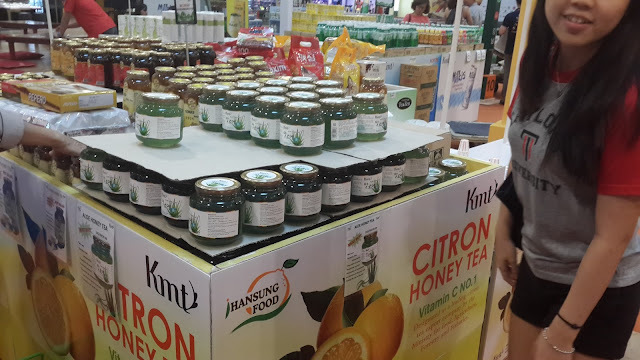 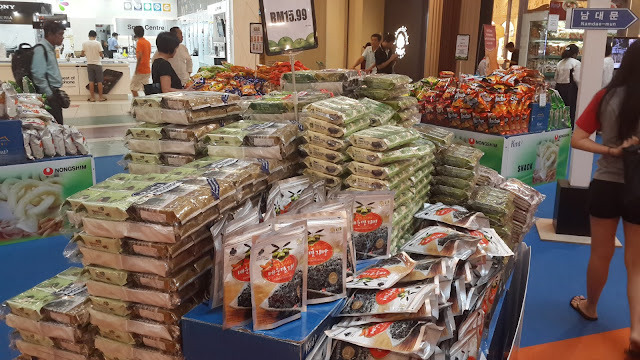 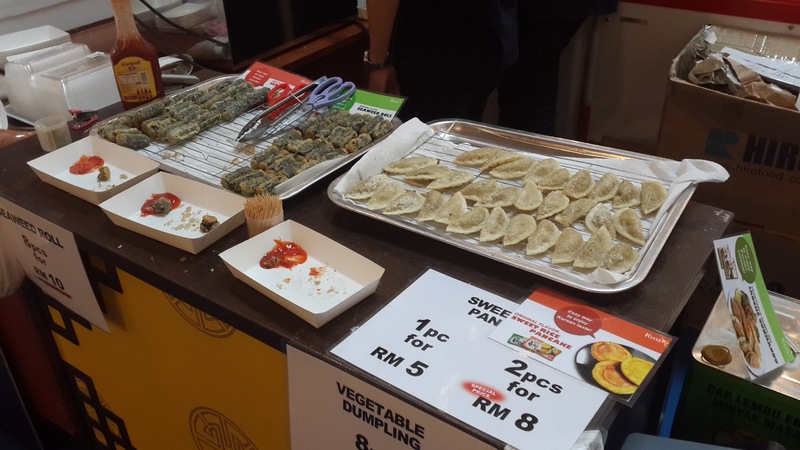 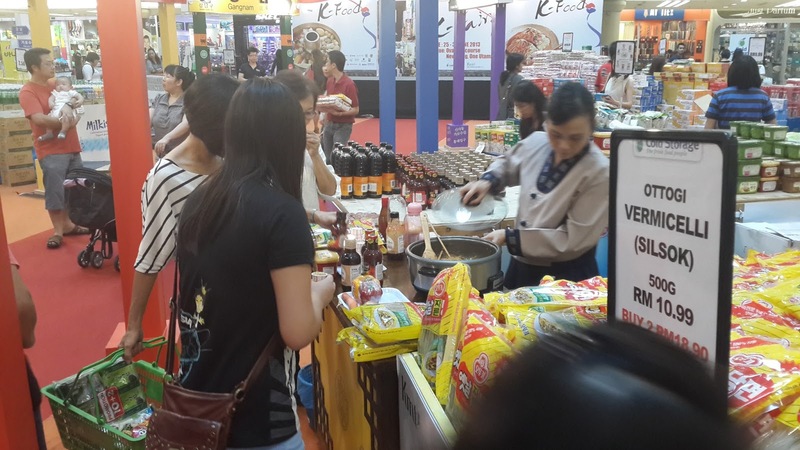 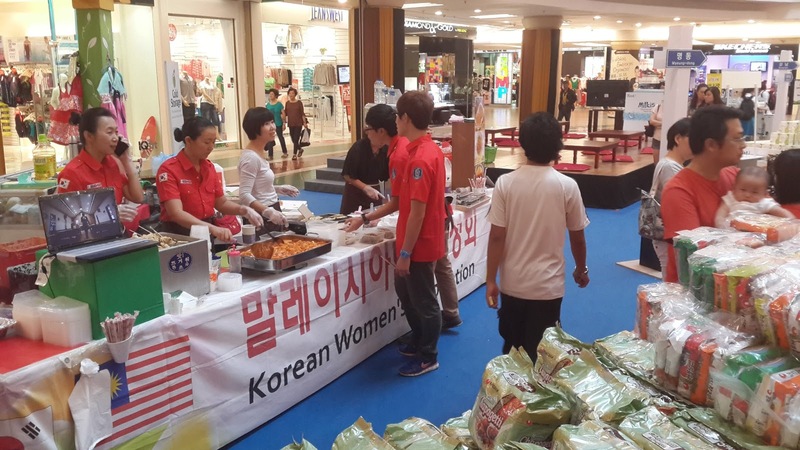 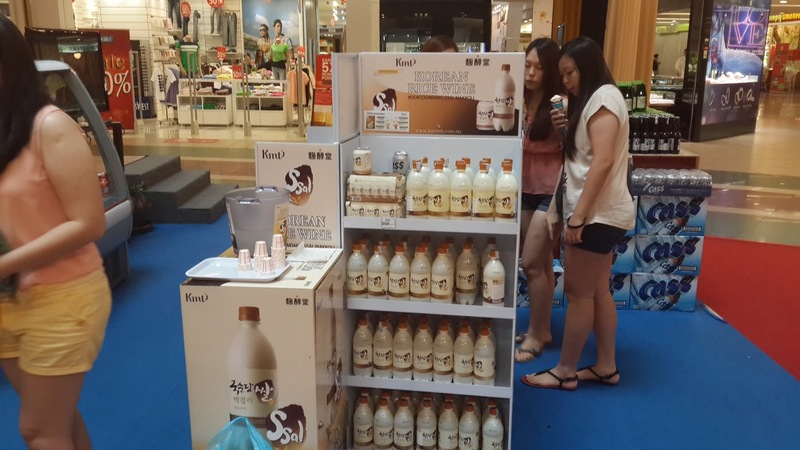 Korean Food Fair in 1 Utama New Wing Atrium from now till 30th June. 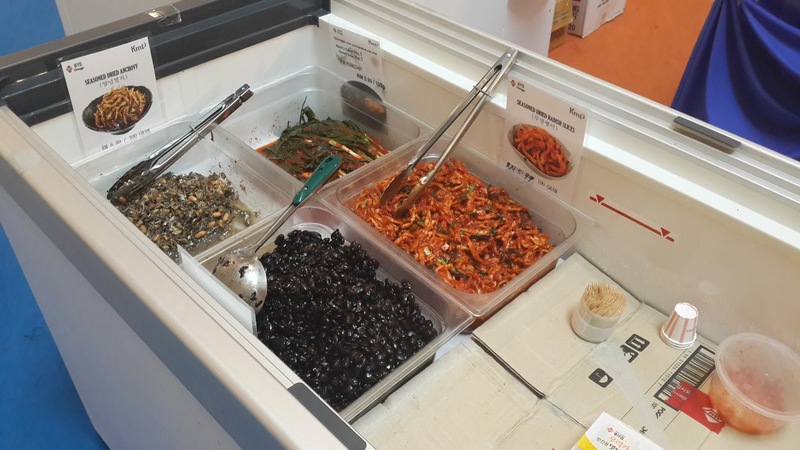 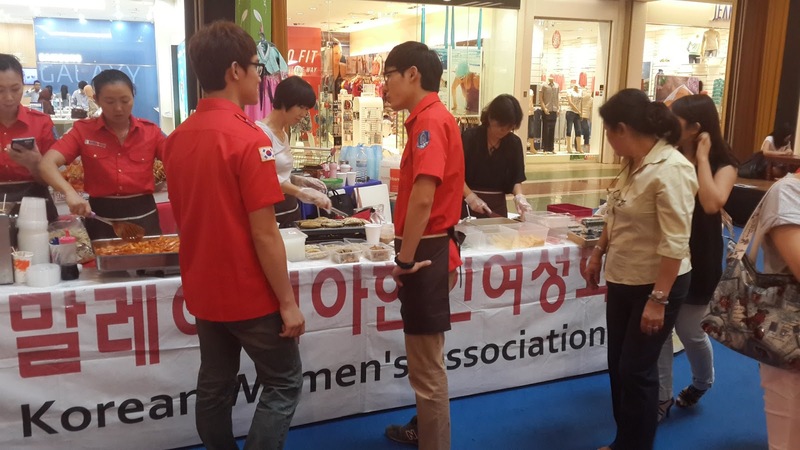 Plenty of Korean snacks, noodles and even on-the-spot cooking. 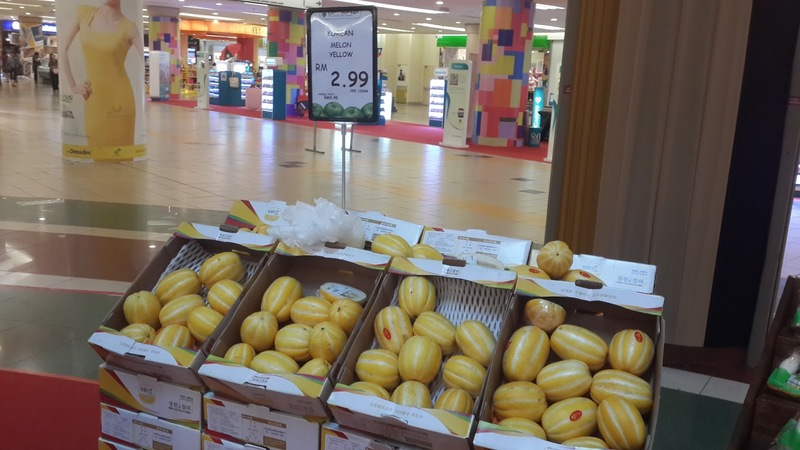 Korean Melon, RM2.99 per 100grams. 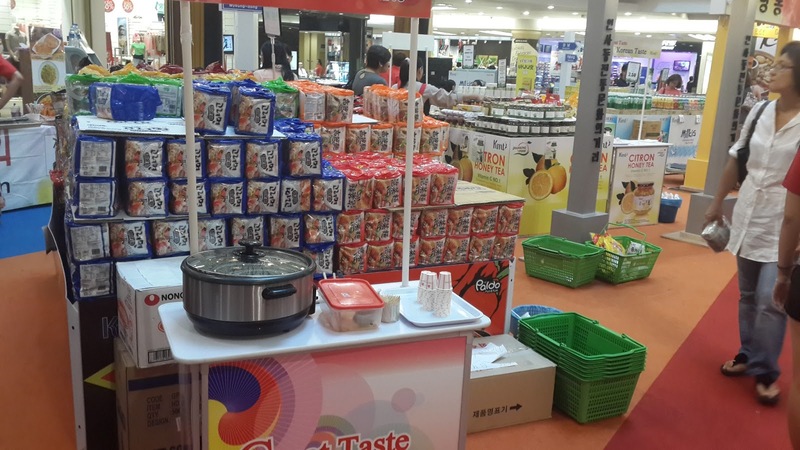 An Ad on Korean Ramyun. Fried vegetarian seaweed and dumplings. Dubokki? Fresh korean food lol. Same here...from the Korean Women Association. 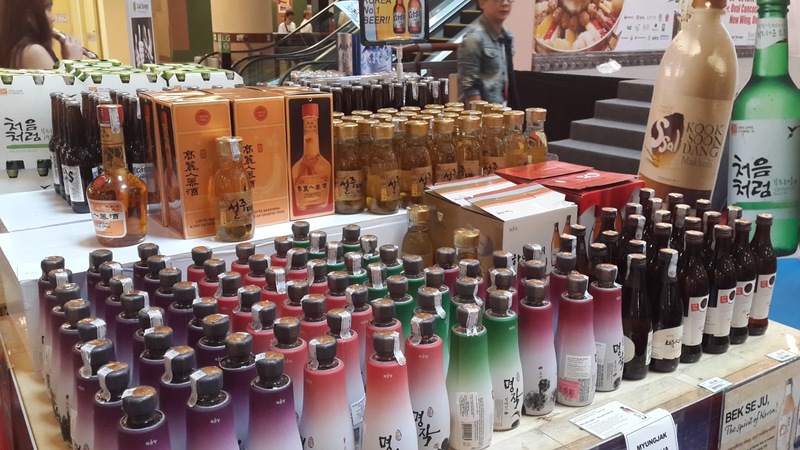 Look at all these healthy wine I don't drink. 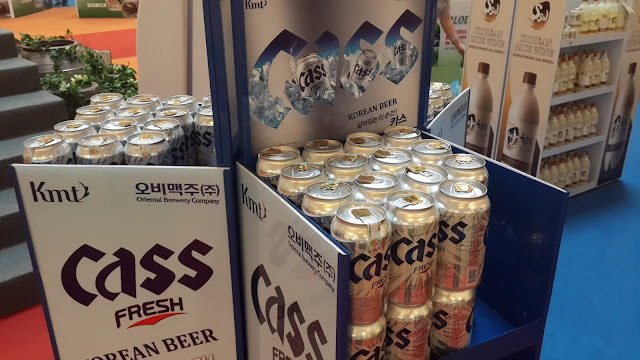 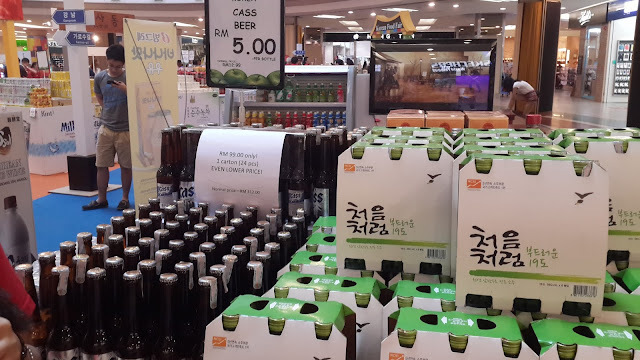 CASS Beer, RM5 per bottle. 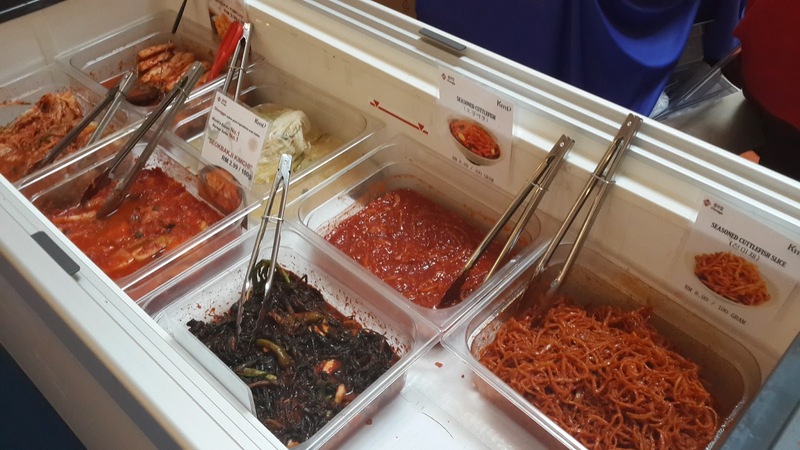 Fresh Korean side dishes for sale. 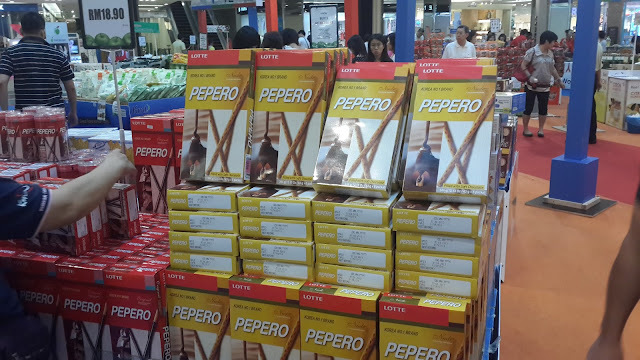 Sold by grams. 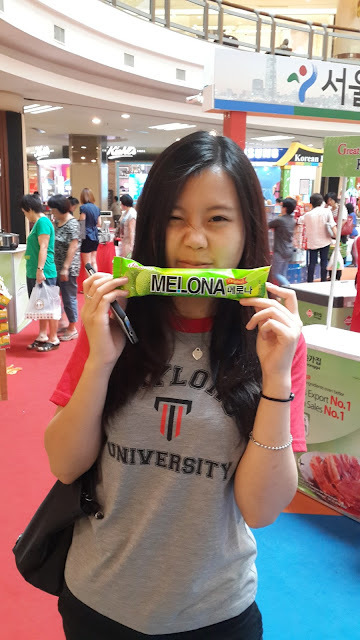 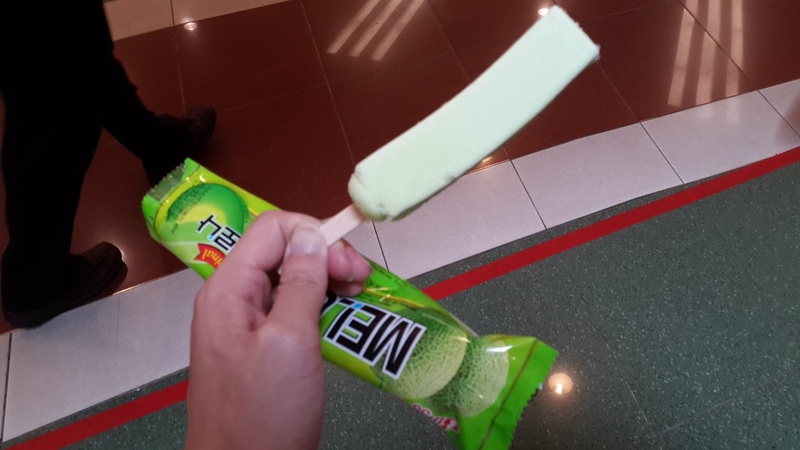 Korean Melon Ice Cream - RM2.5 per stick. 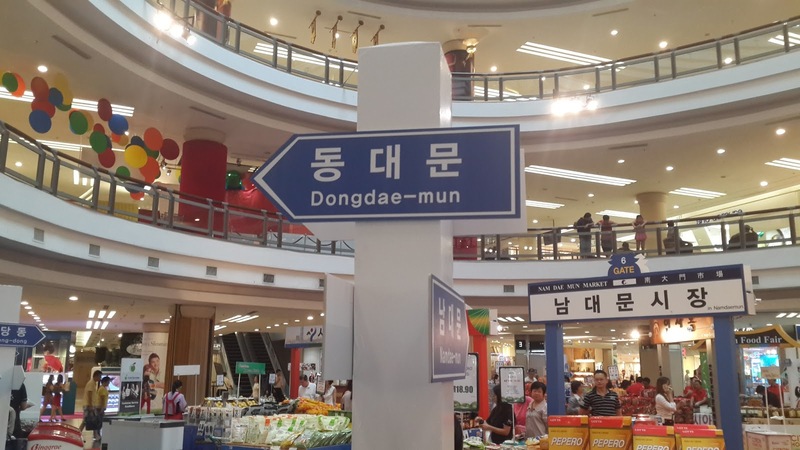 Yeap, that would be all. 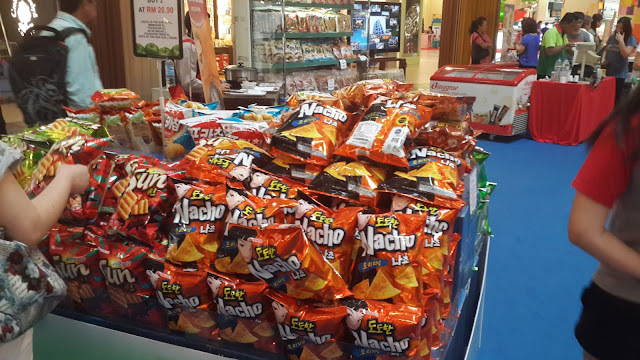 Hoho.